In a small bowl, whisk together chili powder, cumin, salt and cayenne together until blended. 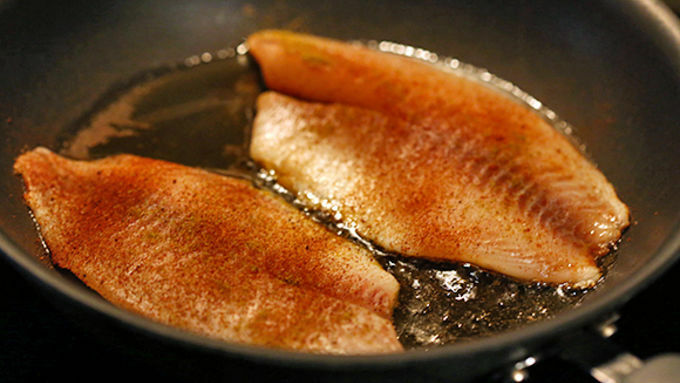 Sprinkle the mixture evenly over the tilapia filets, coating both sides. Heat olive oil in a medium saute pan over medium-high heat. Add filets and cook for 2-3 minutes per side until the fish is cooked through and flakes easily with a fork. 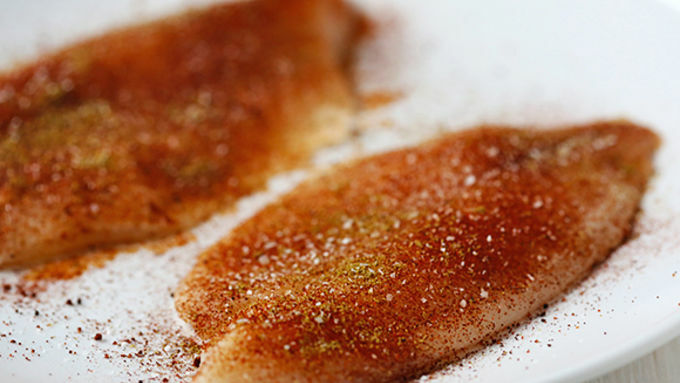 Remove from heat, and break up the fish into smaller pieces with a fork. 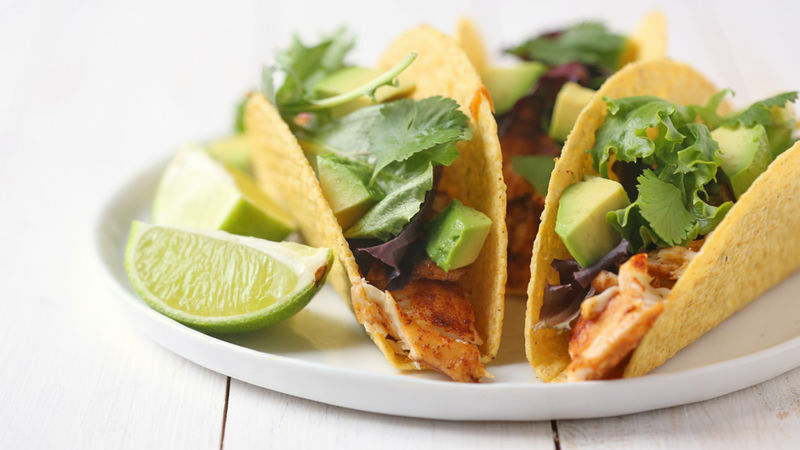 Portion the fish evenly into the bottom of the four taco shells, then layer with lettuce, avocado, and then sprinkle with lime juice to taste. Serve immediately. 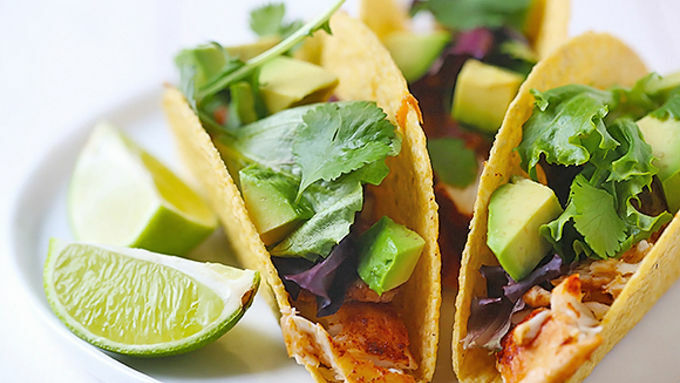 There’s a reason why fish tacos are a favorite! I’m so excited to be sharing this recipe with you all today…because I am seriously nuts about tilapia fish tacos. They are one of my all-time favorite meals to make, partly because they can be ready to go in less than 20 minutes, and partly because they’re healthy and fresh. But mostly I love fish tacos because they are just so good. Like, SO good! I have taught a handful of friends over the years how to make fish tacos, and I always recommend they start with tilapia. It’s a great mild fish, inexpensive, and really easy to cook.